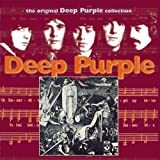 Deep Purple has been added to this site, this is JUSTICE, PURE JUSTICE!! 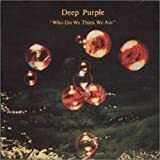 The very first album I ever bought was "24-carat Purple", soon followed by "Made in Japan" so full circle with this review! 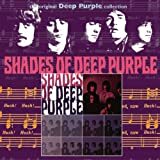 This brandnew DVD is a very exciting view on the powerhouse Deep Purple on stage although it's funny to witness that the crowd existed of many very young people, most of them I estimate not older than 12 or 13 years! 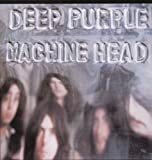 But Deep Purple performed very well, the exciting chemistry from "Made in Japan" is also on this DVD featuring splendid performances by all members. 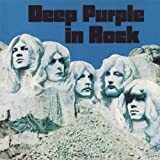 The track list from the legendary Denmark concert contains all the 'classics' delivering excellent work on the Hammond organ by Jon Lord, lots of fiery and biting guitar soli from an inspired Ritchie Blackmore, an enthousiastic and powerful performance by Ian Gillan and very dynamic support from Glover and Paice as the rhythm-section. 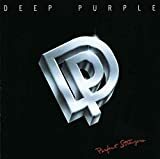 In my opinion this Deep Purple was an innovative and pivotal blend of rock, classic and symphonic, they spearheaded the 'heavy progressive rock movement' in the early Seventies. This DVD also includes 3 tracks from the New York 1973 concert and 1 track from the legendary "California jam" concert in 1974 along lots of other extras. AN ESSENTIAL MASTERPIECE OF PROGRESSIVE ROCK!! As the other reviewers have stated, I have to say the same thing, This is as close to as Made in Japan as one can possibly hope for! This DVD consists of two different concerts, the first in 1972 in Denmark (black and white footage) and the second in 1973 in New York (colour) I also have to add that in those days they didn´t have over twenty cameras filming one concert like they do nowadays. First lets begin with the negatives, so we can get it behind us and move onto the tasty bits! 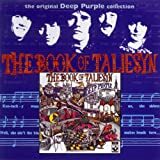 The only negative thing here is the cameraman who annoyingly focuses on Roger Glover or Ian Gillan, while Blackmore is delivering one of his classic solos! He couldn´t have picked a worser time, because the solos are in Highway Star and Child In Time! Ian Gillan delivers the goods in "Child In Time" It´s exactly like the recording on Made in Japan. He hits all those high notes with ease! It´s great to see a young Gillan singing this all time classic opposed to the version on "Come hell or high water" where he sings over a backing track! This is 100% true! All you need is good set of headphones, but back to this DVD..
During"The Mule" it is little Ian´s turn to shine! Sitting behind a small Ludwig kit (one bass drum, one tom tom attached to the bass drum, and two floor tom toms and a snare drum) he delivers one of the best solos in drumming history! Drumming with his shoulders hunched up in that classic Paicey way of playing he does the same solo as the one on "Made in Japan"
Ritchie Blackmore´s solo on "Lazy" is absolutely brilliant. It´s a clever solo with a hypnotic feel that sort of pulls you in. As always, his playing is clean and never sloppy, not to mention that Blackers tone! I usually rewind this part and watch it about four times before continuing with the concert! Before the opening of "Fireball" you see two stage hands run onto the stage and attach a second bass drum to Paice´s kit! I thought that was rather amusing.. Ritchie can´t seem to decide when to actually come into the song and leaves Ian Paice drumming an extended intro to Fireball! They even do a cover of a Little Richard sond, "Lucille" where Blackmore does a grand imitation of Chuck Berry´s little hopping across the stage! All the band seem to be having a great time and this is in stark contrast to the other concert.. There are three songs from this show, Strange Kind Of Woman, Smoke on the water and Space Truckin´ While Blackmore and Gillan do the guitar-voice copy each other routine it is easy to see that something is not quite right. The tension between Blackmore and Gillan is so thick you could cut it with a knife (a blunt one at that!) It´s not surprising that Gillan actually decided to quit a few days later. The only ever footage of Deep Purple MK 2 doing Smoke on the water is on this DVD, wher Ritchie does a great solo. 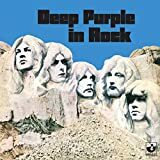 The show ends with Space Truckin´where Jon Lord does a spaced out keyboard solo, rocking his Hammond back and forth and generally going over the top! One of the nice things on this DVD is it has an Optional Commentary which gives you a lot of extra information. So instead of me typing another ten pages, get it now and listen to it for yourself. Absolutely Essential!! This is history. A few weeks before the release of "Machine Head" Purple will play a fabulous set for the Danish television. The crowd is made up of very young kids (completely remind me someone of that age in 72...). Purple is in top form, enthusiasts, smiling, having a great time on stage. The audience is just discovering some tracks (three) of one the greatest hard-rock album : "Highway Star" (which Gillan will introduce as "a song that will be the opener of our concert for the next year or so". Actually, it is still one of the highlights of their concert today ! "Lazy" and "Space Truckin' " (absolutely crazy version, as always). We'll have a magic "call & response" during "Strange Kind Of Woman". IMO, only Page-Plant were able to be on par with Gillan- Blackmore. Incredible and impressive. Even if hard-rock is not your fave music genre, you should at least SEE this number once in your life. A great experience. When Purple plays such a tracklist, there is only one thing to say : extraordinary. The band also seems to be physically great. I will see them live (Forest National, March 1973) performing almost the same setlist (except "Fireball" actually). But by this time, they were exhausted by an extremely long tour. You can see this actually in the second part of this DVD recorded in New-York (April 1974). You can see the physical changes of Gillan for instance. He has a completely different look. The "call & response" sequence is as much fun as two years ago, Gillan smiling almost throughout this exercise. When you see him during the intro of "Space", it is hard to believe that he will leave the band a little later. The first big clash (but not the last one) in the Purple line-up. During "Space", Ritchie will already set the stage on fire; I guess that it was a kind of rehearsal for "California Jam" another must own actually. I can only STRONGLY recommend this document of rock music. If ever you are looking for some prog moments, you won't find any. Dynamite (like "Live At Leeeds - The Who) all the way through. A great hard-rock MONUMENT. One of the best rock concerts of all time! The Copenhagen concert in 1972 was performed before the upcoming album 'Machine Head' was released according to Gillan's announcement that the opening track 'Highway star' was one of the tracks in the upcoming album. The opening track was performed excellently. The second track 'Strange kind of woman' was performed with close similarity with the version you find in the legendary 'Made In Japan' live album. Well I have always loved this song performed live because there is an extension of jamming right in the middle of the song which features the duet of Gillan in vocal and Blackmore on guitar. This duet has been legendary and I even forget the original version of this song because I always play the live versions. 'Child in time' was also performed excellently with great singing capabilities of Ian Gillan. I love the hammond organ work played by Jon Lord. There is a wonderful drums solo in 'The mule' by Paice. Hmmm. I believe he is one of the great drummers of all time in rock music. Gillan was then introducing the song from upcoming album called 'Lazy' which starts with an interesting Hammond organ solo by Jon Lord. Yes, Gillan's right that this song is kind of having blues elements and I really love the opening part where the combined work of Lord and Blackmore take place beautifully in the beginning of the song performance. I think this part has become legendary rock piece of all-time. The following guitar solo by Blackmore is really stunning. When the music moves and Gillan takes vocal role , he followed it with harmonica work. He sung with excellent scream right after the harmonica work. Blackmore followed the Gillan part with his great guitar solo backed with Ian Paice high hats playing. What a stunning part! When the music returned, Gillan played his harmonica nicely. This is the best part of rock show of all time! Another song that has become my alltime favorite is 'Space Truckin' and the band played this song wonderfully well. It started with very charm opening ov vocal work by Gillan backed with rhythm and blues music while he's clapping his hands. Wow! What a rockin' experience! I love this song very much because it has solid groove and it's really rockin' ....!!!! 'Come on ... Come on ... Come on ...Let's go space truckin' ......!!!' Oh man ......!! What a wonderful part of rock song of all time! I love the middle part when the band played like a jamming session with Ian Gillan performing percussion work while Blackmore and Paice played their instruments in rockin' atmosphere. The guitar solo performed by Blackmore is really stunning. At the end of the song Blackmore demonstrated his crazy acts by revolving his guitar around him. The song was played very long and concluded their concert. Well, under the heavy metal terms, this concert can be classified as masterpiece performance from a legendary band Deep Purple. The New York version is in colour and it's an excellent performance as well. It's not prog but it's really rockin' ....!!! 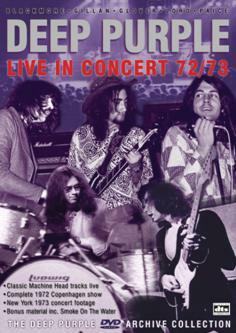 Post a review of DEEP PURPLE ""Live in concert 1972/73""